Trempealeau County vital records are available from the Whitehall Register of Deeds by mail, with divorce records from the Clerk of Court. Records prior to statewide registration in October 1907 were not uniformly maintained, with records extant located at the Wisconsin Historical Society. 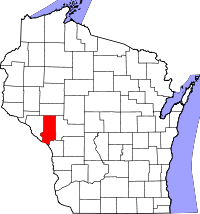 Trempealeau County was created in 1854 from Crawford and La Cross Counties; its historical records date to 1845 for births, 1847 for deaths, and 1875 for marriages, with a statewide index available. Records after 1907 can also be ordered from the Wisconsin Department of Health Office of Vital Records in Madison, by mail, fax, or in person, for $20/copy, or online through VitalChek.